Buzz and Aubane married at St. Mary’s Church in Harvington, a quaint little church in a scenic location. Aubane got ready at Brockencote Hall, which was also the couple’s wedding reception venue along with her bridesmaids and close family. 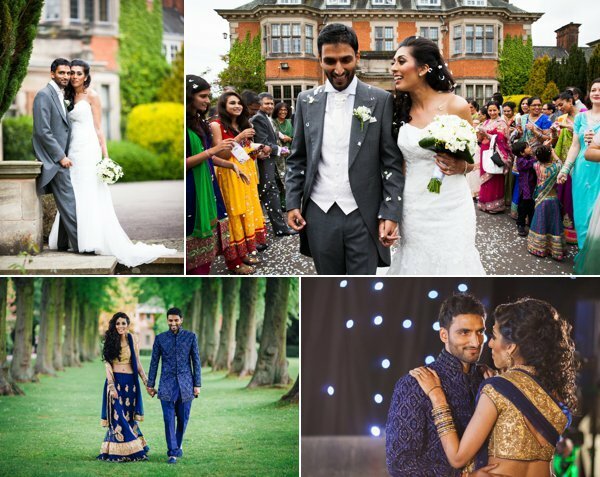 The moment we saw the bridesmaids unique, vibrant dress colour we knew this couple had stamped their personalities all over their wedding day. We had two of our team members at the church to greet Buzz and capture his arrival. Buzz’s groomsmen wore grey suits with lime green accents. Buzz’s brother gave us the heads up that our lovely groom would be arriving in his car, which was his prize possession, a sporty Nissan GT-R. Buzz wore a vibrant lime green suit jacket with grey trousers, which matched the Bridesmaids dresses and the details the groomsmen wore. When Buzz arrived, we captured a few shots of him and his groomsmen in the Church gardens before they headed into the church to await the Brides arrival. We noticed that Buzz had two dogs, Link and Zelda who were dressed as a little bride and groom too! How cute! That was a first for us, along with the colour scheme of the day! Aubane arrived and her bridesmaids made their entrance into the church. Aubane’s dad gave her away and the two walked down to music from the video game “The Legend of Zelda”… so thats where we heard the names of Buzz’s dogs before! 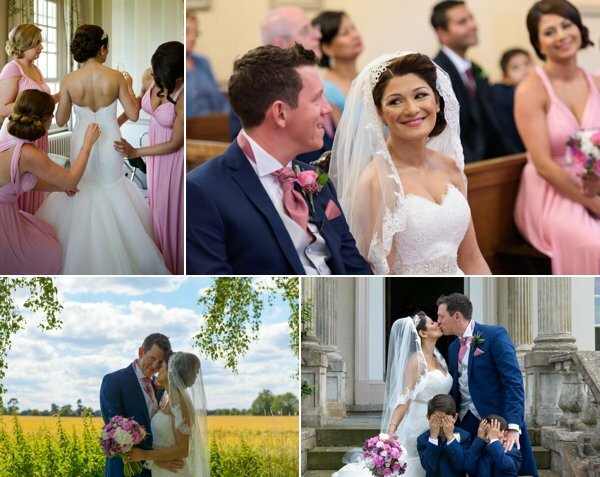 We do love a wedding that oozes personality! Once the couple said their “I Do’s” they headed out of the church and were greeted with a mix of confetti and a butterfly release. While we captured the main group formal photographs with the couples loved ones, some of our team headed to Brockencote Hall to make a start on capturing the reception details. Again, we were greeted with lots of vibrant greens for the table and venue decor. While guests mingled over canapés and champagne, a magician Nick Rushton went round to entertain the guests and a jazz band also played a few songs in the background. When Aubane and Buzz arrived to the venue, we took them off for a quick couple’s photoshoot around the Brockencote grounds. Guests were seated for the wedding breakfast and awaited the grand entrance of the couple. After their emotional speeches the couple went off to mingle with their guests again while their DJ began to set up. Buzz was surprised by a car shaped ice luge, just in time for their evening party to kick off. Buzz and Aubane took the dance floor for their first dance, which lead onto the dance floor being open for the guests to celebrate with them. Another surprise in store for the couple were traditional Bhangra dancers Gabhru Panjab De that came to do an energetic performance for the couple and their guests. As the sun set and it became darker, the couple headed outside with some of their guests to cut their wedding cake, while sparklers were handed out. This reception was full of entertainment, which kept us on our toes throughout the day. 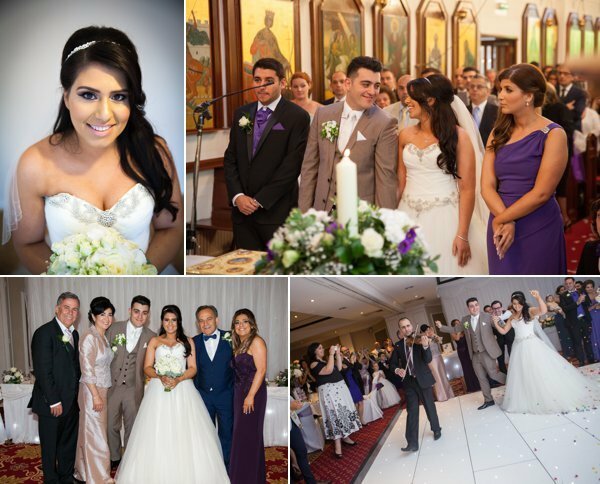 We had a fab time capturing this wedding and it will one we remember for sure! Thank you Aubane and Buzz for choosing us to be part of your wedding day!